Hrithik Roshan, the most handsome actor has hot physique and his charming face is really irresistible. 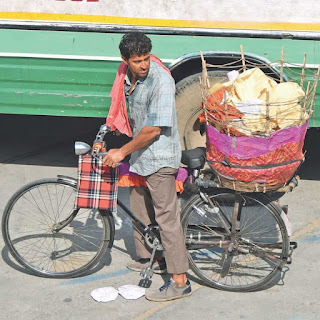 But now, the actor sells Papad under the Hot Sun and the photos are doing rounds on the Social media. It is for his next project which is based on the biopic of Patna Mathematician Anand Kumar. The movie is titled as 'Super 30' and Hrithik is taking all pains to portray the life of Anand on the big screen. 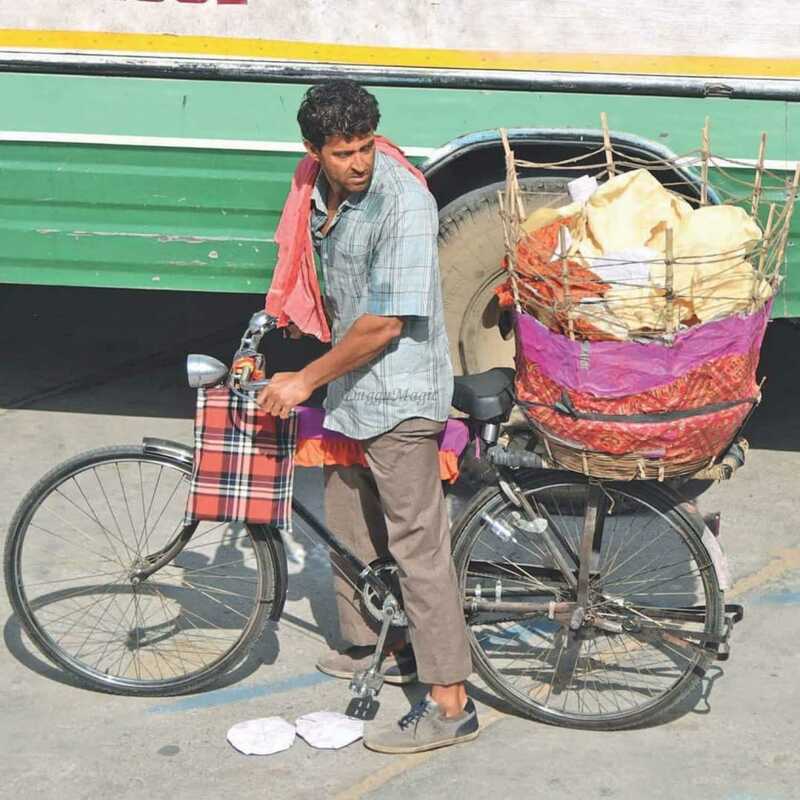 Currently, the shooting happens at Jaipur and the team shot Hrithik selling Papad on the streets in a bicycle. The first schedule was already completed in Varanasi and Hrithik was seen entirely in a new avatar to fit the shoes of Anand Kumar. The real-life Anand coached a batch of 30 Engineering aspirants from Poor families free of cost every year and he sent 450 candidates to leading technical institutes every year. This also includes IIT's. Vikas Bahl directs this project.